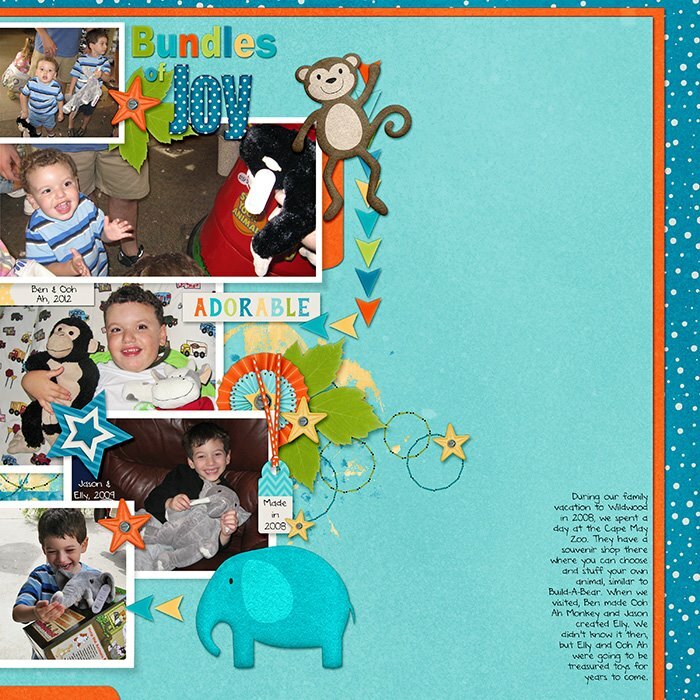 CLICK HEREto save $$$ when you buy the bundle! 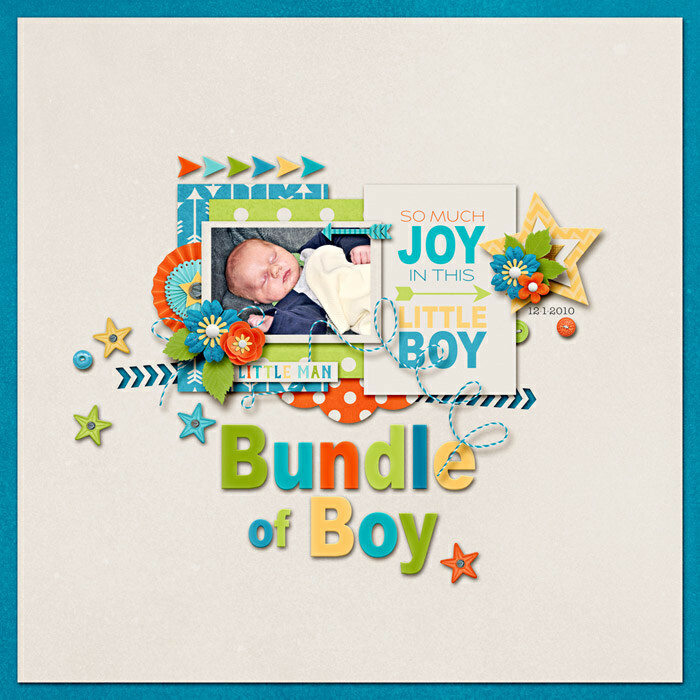 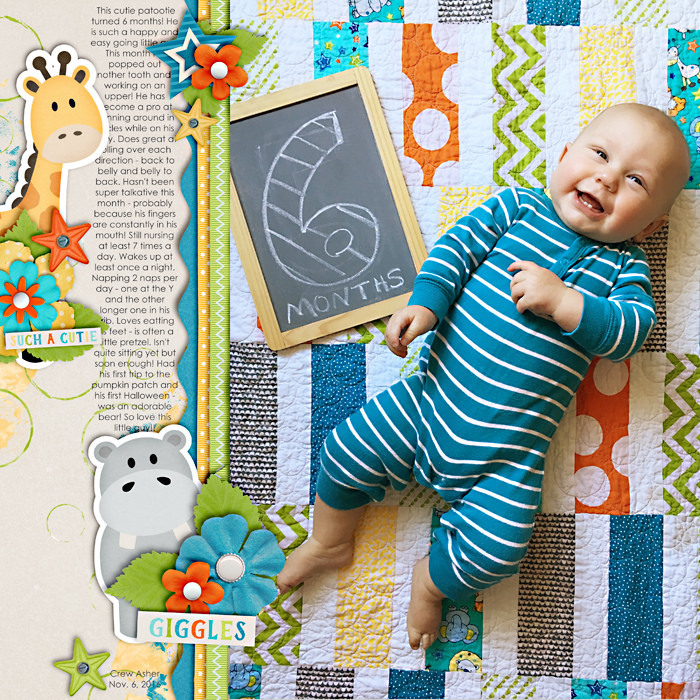 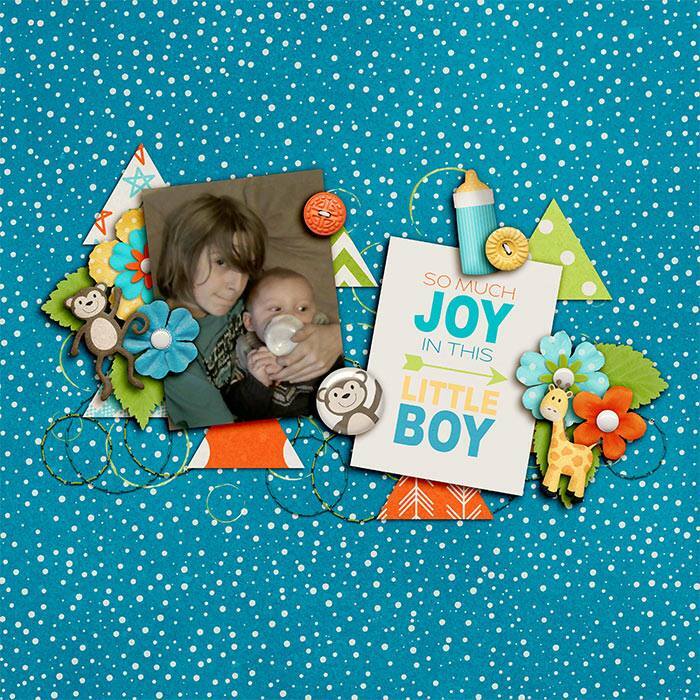 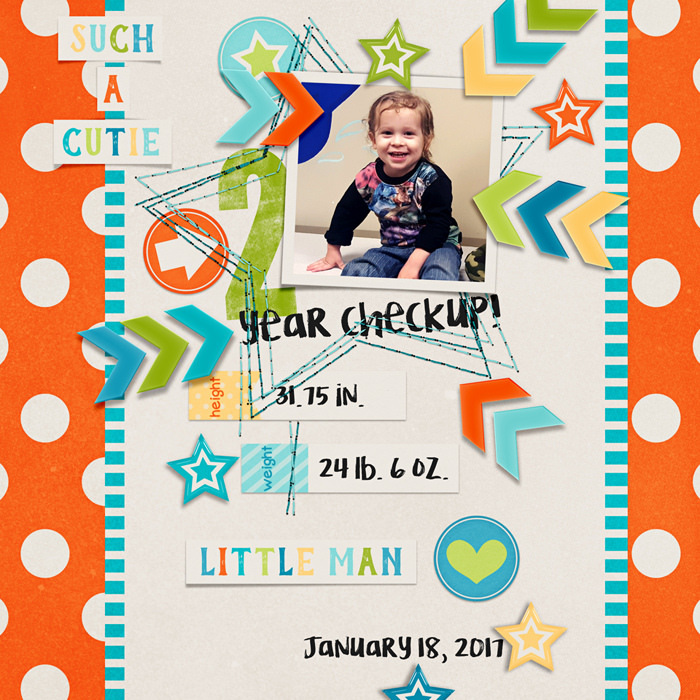 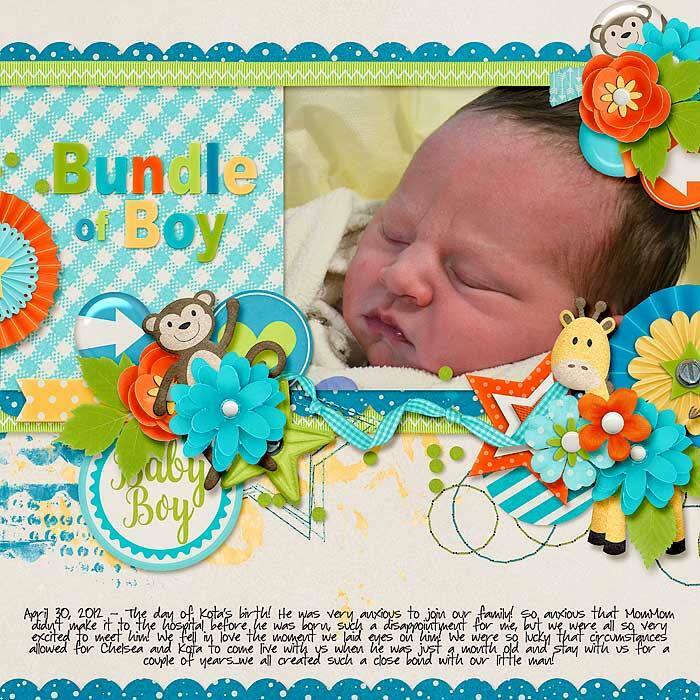 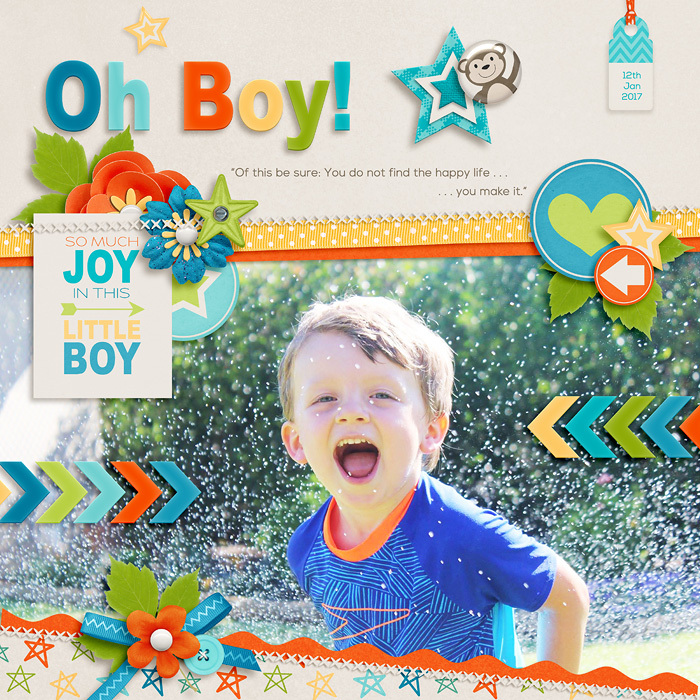 Bundle of Boy by Melissa Bennett is fun and bright baby boy kit that is versatile enough to use for babies first few years of life. 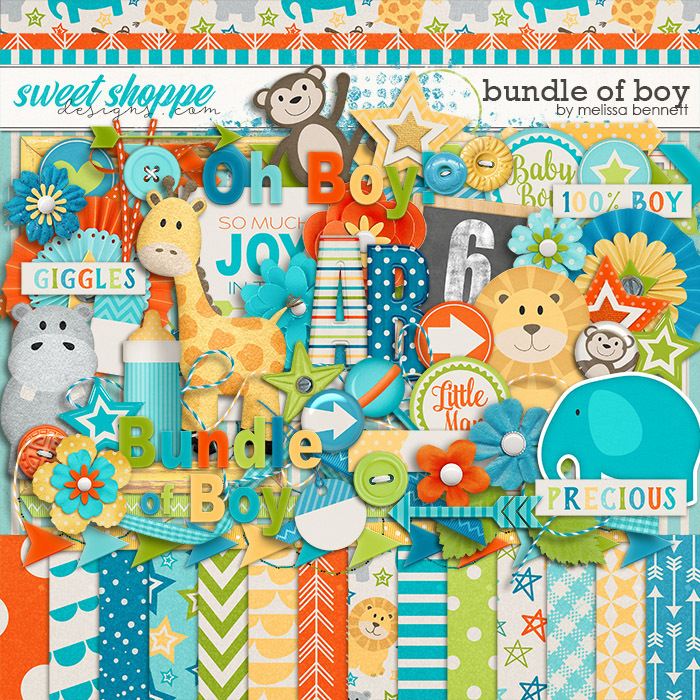 Packed with 23 digital scrapbook papers, with 14 patterned papers and 9 solid papers, 107 elements which includes 3 arrows, 2 blank word strips, 2 borders, 1 bottle, 2 bows, 5 buttons, 2 cards, 1 chalkboard, 3 circles, 1 felt elephant, 1 elephant, 2 flair, 7 flowers, 2 foliage, 3 frames, 1 felt giraffe, 1 giraffe, 1 felt hippo, 1 hippo, 1 felt lion, 1 lion, 4 metal stars, 1 felt monkey, 1 monkey, 12 chalk months, 1 month chalk word art, 1 months chalk word art, 3 paint, 2 paper flowers, 1 rattle, 3 ribbons, 5 small stars, 5 stars, 5 stickers, 2 stitching, 2 tags, 3 tape pieces, 2 titles, 2 twine, 2 word art, 6 word strips and 2 alphas upper, lower, and numbers in PNG files as individual pieces.